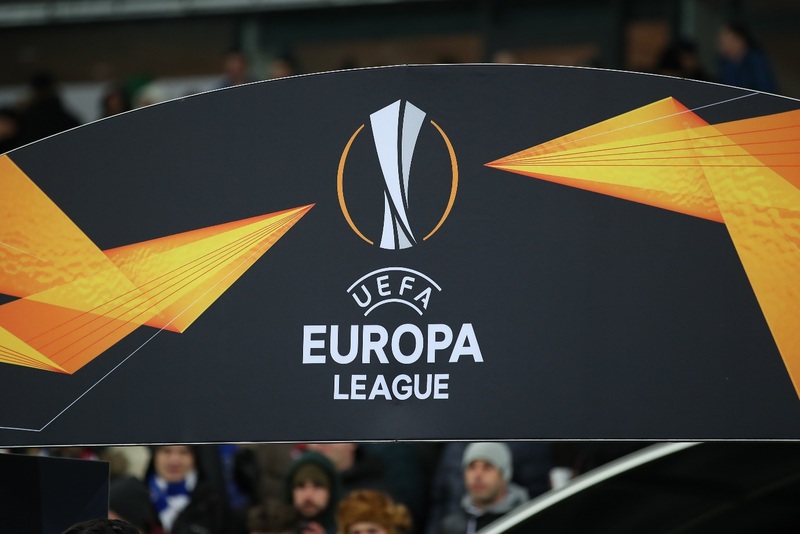 The quarter-finals and semi-finals of the Europa League were drawn at the end of last week and while it was good news for Chelsea fans, drawing Slavia Prague, Arsenal fans were no doubt cursing the gods as they drew Napoli. In terms of UEFA Europa League betting, the West Londoners are the favourites to win the competition, closely followed by the Italians. But there are a couple of tasty draws, including an all-Spanish tie with Villarreal and Valencia (dubbed the Derbi de la Comunitat), and the ‘Battle of the Eagles’ as Benfica face Eintracht Frankfurt. Here, we will assess each team’s chances going into the first leg and predict who we think will then go on to progress. A shock last-minute goal in the last round against Sevilla saw the Cervenobílí progress to the quarter-finals for the first time since the 1999-2000 season. We can’t see Slavia providing another shock in this round, despite their dominance in their domestic league - particularly as they have another quarter-final to play before the showdown against Chelsea. Chelsea hammered Dynamo Kiev 8-0 on aggregate in the last round to comfortably progress and it should be another straightforward tie for Maurizio Sarri’s side. After his hat-trick last week, the club also boast the competition’s top scorer in Olivier Giroud (nine goals) and he will certainly be one to watch in the quarters. The Czech side had better also prepare their defence, as Chelsea top the statistics when it comes to shots on target (64) and total shots (180). While Chelsea can still mathematically qualify for the Champions League by finishing fourth in the Premier League, their best hopes could well hinge on winning the Europa League and qualifying automatically. With eight wins and two draws in the Europa League this season, Frankfurt are the form team and are ones to watch, especially when you consider that they are unbeaten in all competitions this calendar year so far. In terms of goals scored, they’re behind Chelsea with 24 and of course sprung a shock in the last round beating Inter Milan. However, a lack of experience in Europe could prove Frankfurt’s downfall, as they haven’t made a quarter-final in Europe for over 20 years. Benfica have made three Europa League finals, but have the unenviable record of losing on each occasion. The Eagles joined the competition at the knock-out stages, having come third in their Champions League group (behind Bayern Munich and Ajax). Bruno Lage has certainly steadied the ship since being appointed manager in January and Benfica won their O Clássico against Porto, as the two battle it out for top spot in the Primeira Liga. 19-year-old Jota will be one to watch - the striker is reportedly wanted by Arsenal and Tottenham Hotspur. It took a 93rd minute equaliser in their second leg Against Krasnador to send Valencia through to the quarter-finals (winning 3-2 on aggregate) but since joining the Europa League at the knock-out stages, having come third in their Champions League group (behind Juventus and Manchester United), they remain unbeaten. Based on overall form, they should have the upper hand over their east coast neighbours. Villarreal sit a place and four points above the drop-zone in La Liga and their performances in the Europa League this season have undoubtedly been a highlight in what has been a difficult campaign. The Yellow Submarine are unbeaten in Europe this season, with five wins and five draws to their name. Unbeaten in the group stages, Arsenal have had mixed fortunes when it comes to Europa League knock-outs this season. The Gunners had to overturn first-leg deficits to edge past BATE Borisov and Rennes, setting up a tough quarter-final against Napoli. Manager Unai Emery has had success in the past, winning the Europa League three seasons consecutively as manager of Sevilla. However, the Gunners may need to rely on winning in Europe to guarantee their aim of Champions League football next season - with the battle for fourth in the Premier League hotting up. Napoli are another club to join the Europa League at its knock-out stages, having exited the Champions League at the group stages (finishing third behind Paris Saint-Germain and Liverpool). The Europa League is their best chance of silverware this season, with Juventus romping Serie A. Manager Carlo Ancelotti has a decent record when it comes to facing Arsenal, with three wins and one loss from his four games as Chelsea boss.